More on the visual artist here. 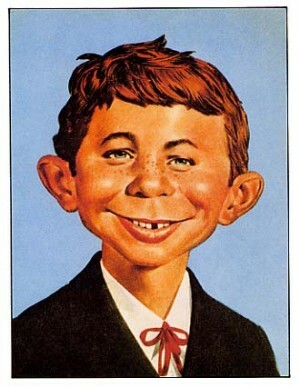 Recent scholarship has traced the roots of Mad magazine's Alfred E. Newman back to the nineteenth century. 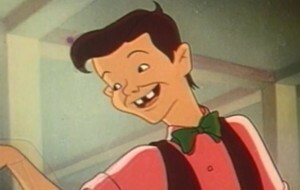 But I don't believe anyone has ever before noted his resemblance to this animated version of Superman's pal Jimmy Olsen, as seen in the 1942 Superman cartoon "Showdown," embedded above. How fitting that today both Jimmy and Alfred are owned by the same company, Warner Bros.!